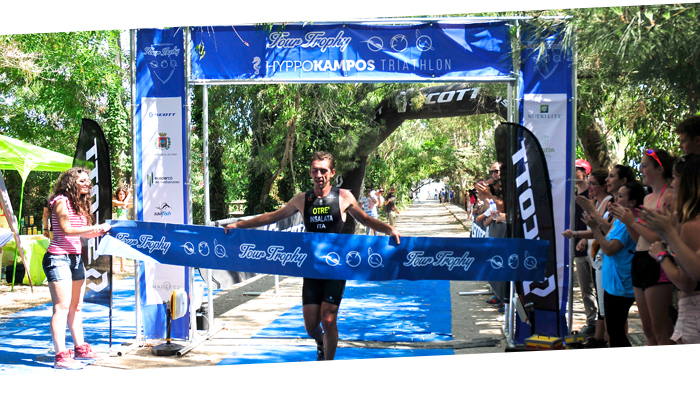 A show announced, this is what has given athletes and spectators to the sixth edition of theHyppo Kampos Triathlon, race was the third leg of the Series Scott Tour Trophy, held Sunday June 28, 2015 at Mediterranean ekopark of Castel Volturno. A lot of news that welcomed athletes from partially renovated paths thanks to the support of the municipality of Castel Volturno, and in particular the first person commitment of Sport Alderman Charles Nugnes, which has strongly backed the revival of the event in a format even more spectacular. The massive deployment of security forces and volunteers have, indeed, made possible the development of a new village on the important cycling road SS Domitiana. 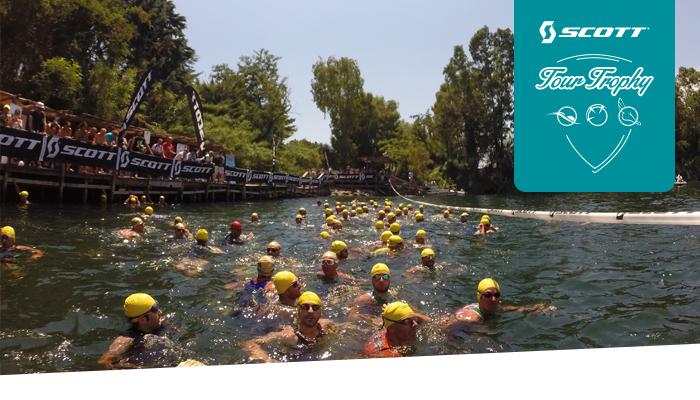 The beauty of Mediterranean Ekopark did the rest to fascinate the more than 160 athletes with its relaxation and its attractions. Under the competitive profile, great win for Michele Salad, repeating the success achieved in 2013, with a comeback race from the first fraction on fugitives Fatema and Lamberti. The latter manages to maintain second position to the finish. In third place, arguing the strong running skills, ranks of Roberto Fonseca Hermes Campania. In the women's yet another win in the Trophy Tour, Scott after Sorrento and Ischia, Silvia Liner followed by an increasingly strong Roberta Salama and Claudia Cardona, in what has been one of most races take part in women's level of southern Italy. At the conclusion of the event was held the Trophy CONES, namely the triathlon competition for younger for the prestigious youth event produced by cones. Finish the races, athletes have got to appreciate the pasta party, massage service and consulting custom nutritional Nutrilite Team as well as individual mental coaching HRD Training Group. The feedback of the Hyppo Kampos Triathlon confirmed once again the quality of Sports Trophy Tour tourism project, demonstrating that the combination of tourism and sport attracts more and more fans and is able to give visibility and location already appreciated worldwide, such as Sorrento and Ischia, also not fully known little gems such as the Mediterranean and Ekopark territory Castel Volturno and its territory.